Hi!!! My uncle came back from the market with a bag of live shrimp. Given he specializes in Hunanese dishes, we were a bit perplexed. Turns out, he had a dish up his sleeve. 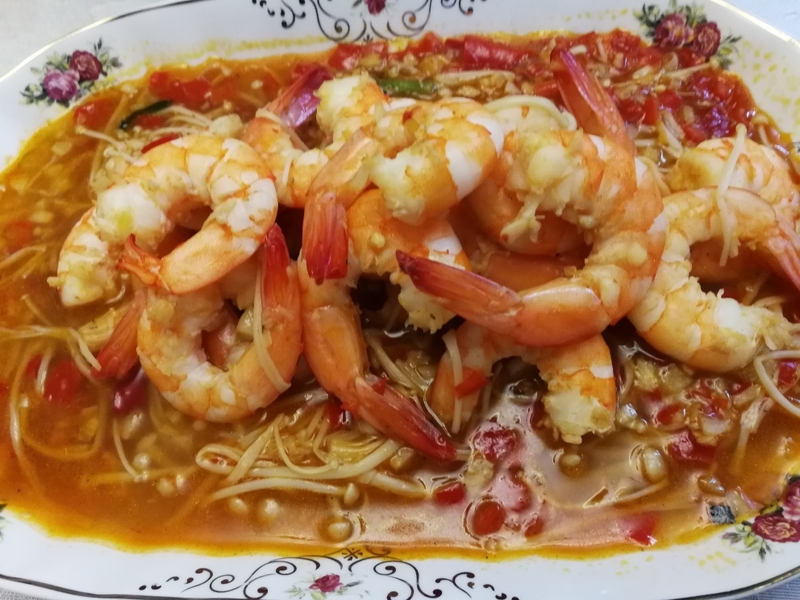 It combines the best of seafood with the typical Hunanese oil and spice. Onto the recipe! Heat oil in a wok on high. Add garlic and shrimp. Stir fry for about a minute, or until aromatic. Add mushrooms, salt and peppers. Stir fry for an additional minute. Add water and when boiling, cover and reduce heat to medium. Simmer for an additional 3-5 minutes. Serve and enjoy! There, as promised- Simple and fireball!